Bring your little ones, family and friends! 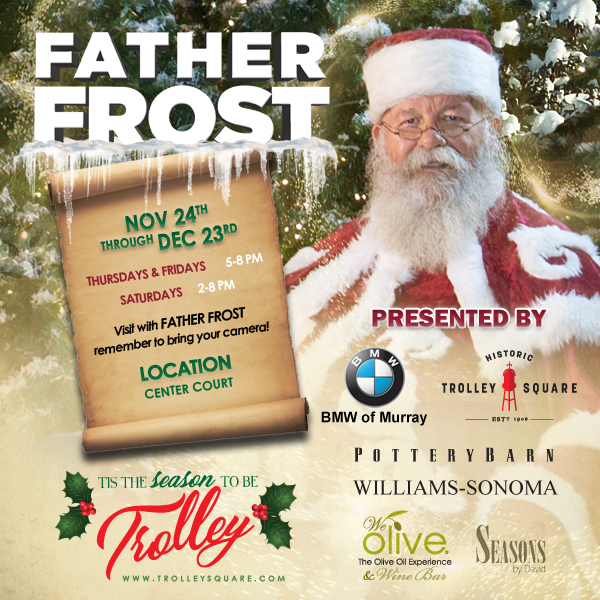 Father Frost will be at Trolley Square in Center Court beginning Friday, November 24th from 5 to 8 pm. Bring your camera for a FREE photo opportunity with Father Frost himself!